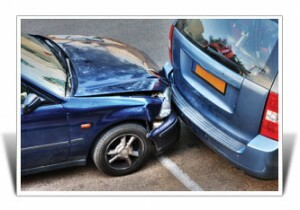 Rear-end collisions range from minor accidents involving no injury to major accidents involving serious injuries. But even with the most minor accidents, it can be a nuisance to obtain compensation. Not only should you be compensated for your injuries and damages to your vehicle, but also to your property, such as an infant or child car seat (car seats are required to be replaced even in minor accidents not involving any injuries). The first thing you should do if you’re involved in a rear-end collision is obtain the other driver’s identification and insurance information, and report it to your insurance company. Afterward, photographs of the damages sustained to your vehicle and to the other party’s vehicle will prove valuable to a Newport Beach car accident lawyer. Not only will this reveal the extent of the damages sustained to the exterior of the vehicle, but will also provide insight on other aspects of the accident, including the point of impact and the speed at which the vehicles were traveling. To a Newport Beach car accident lawyer, the damages depicted in the photographs will also provide persuasive evidence pertaining to the plausibility of the gravity of your injuries caused by the rear-end collision. If and when law enforcement becomes involved, they will conduct a thorough investigation of the scene. This will involve interviewing the drivers of the vehicles involved in the rear-end collision, along with any witnesses who may be present at the accident scene. The police offer’s findings and conclusion will be submitted through a police report. 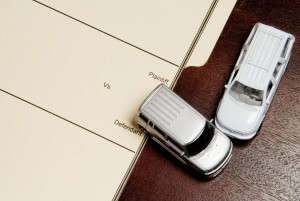 A Newport Beach car accident lawyer will immediately obtain the police report and the information it contains. Should any injuries occur, seek medical attention immediately, even if the symptoms are as minor as neck pain due to whiplash. In doing so, you are simultaneously trying to heal from your injuries as well as verifying their extent. This is helpful because insurance companies may dispute your injuries and ask you to undergo an independent medical examination to determine the validity of your injuries. Because the insurance company does this through an independent medical examiner, the medical opinion will likely be more beneficial to them than to you. A Newport Beach car accident attorney will ensure you don’t get cheated out of the compensation you are due by the insurance companies. Contact Russell & Lazarus APC now for help with evaluating your claim. Call today at (949) 851-0222.